You may have heard of SaaS solutions - Software as a service such as Salesforce and other cloud based Applications. This technology changed the dynamic of companies purchasing software from a single point of purchase such as Microsoft Office for 300GBP per user license , to a subscription service at 10GBP / Month / User. The physical Equipment with the latest operating system and Software Add ons as required. Configuration and Deployment - They can be pre-enrolled in Intune or have an image deployed before arriving to site. Support - Hardware and Software support is provided by the manufacturer for any fault/issues. This now enables organisations to be more flexible with on boarding new users by presenting a lower TCO ( Total Cost Ownership) per user. Like adding new licenses in a SaaS software portal , users can be added and reduced without having to worry about obsoleted wasted hardware. SD Wan stands for “Software Defined Wan”. Its primary focus for companies is enabling business to use a range of internet services together to reduce cost and increase reliability and scalability. There are a number of providers who provider Virtual and Hardware devices for this e.g. Citrix Netscaler , Fortinet’s Fortigate Product and Junipers Routers to name a few. SD Devices constantly tests the speed and quality of each connection and routes traffic in real time with this information. For example if a company had a 4g connection and a normal ADSL2 connection , it can route all downward traffic down the ADSL2 connection , then upload all traffic via the 4g connection , which add significant speed advantages to business’ who cannot get a faster connection locally. More of the time data leakage will be situations where hackers , ex or existing empoloyees or third parties try and extract company owned data for their benefit or resales value. Some examples of this could be a recruiter extracting all his customers to take to a new company, a employee extracting his worked on projects so he has a base to continue them on as a contractor. Other cases could be totally by accident , where an employee copies a file to an Unencrypted USB stick and loses it , or emails it home to a personal email so they can work on it later. Devices enrolled in windows InTune can have policies set to protect specific files and only allowed them to be opened in applications that support information protection , such as the Office suit or Adobe Products. You can then set granular permissions on what is allowed to be done with these files such as only print. You can also make sure that documents are only opened on Enrolled devices to InTune which makes sure documents never leave the Company on purpose or by accident. This means that Microsoft will not be releasing any security patches for your email server anymore so security related problems will not be resolved and could be exploited to gain access to your emails. Email servers especially will live on the internet for services such as Webmail and Phone Syncing so it is crucial for security that these are up-to-date. This is an exciting opportunity for a 1st Line Support Engineer to join a growing IT Managed Service Provider based in Albury, Guildford. We are looking for an outgoing and approachable engineer to provide primarily remote support to users across multiple locations in the UK within a fast-paced, dynamic working environment. When signing up for a new Managed Services Provider you should finalize dates of when a new Managed Services Provider will take on support for your company and the old provider will cease support. There should be at least 2 weeks ( recommended 1 Month ) in between for a handover period, to make sure there is no drop in IT Support Quality for your Company. Your new MSP should help you with below automatically but this is a list for any company or project manager needing to understand what should be completed. Documentation - Make sure all Documentation from the old provider is handed over to the new one and it is as up-to-date as possible. The company being Supported should also have copies of this on file. The new company should check this and make sure any questions have been answered by the new provider. This should be sent over in a password protected encrypted format (password sent by another means of communication e.g. SMS ). Migration of Services if needed - Double check what services the Old MSP currently provide that will cease after the support. This could be DNS Hosting, Website Hosting, 365 Tenant hosting, Mail Hosting, Domain Registration, Mail Filtering. Software - Make sure you have a list of all software purchased by your company or old MSP as well as keys. Usually, you should have a login to the VLSC from Microsoft as well. Monitoring - Make sure the old provider removes all their monitoring that has been set up to an external ( not internal ) system. Antivirus - Make sure the old Antivirus is removed by the old provider and the new one has been installed. RMM - Remote Monitoring Again make sure the old RMM tool is removed from all computers and the new one is installed by the new provider. Create a rule on your Email server to monitor any emails going to the old MSP - This will catch old monitoring services etc. How should your companies IT future prepare for this? 41% of Millennials prefer electronic communication over face to face or even via Telephone. Millennials have grown up being submerged in technology for a young age, whether is being multiple mobile devices, high tech gaming consoles and started facebook from the age of 13. They understand how easy it is to share and communicate and build on these platforms so they will be wanting to replicate the same in their job. Working remotely will be seen as the normal thing to do, whether it's working remotely for a company you have previously built a relationship with and would like to continue on employment or contracting remotely to an entirely new job and country. Technology should be there for companies to be able to manage and maintain these remote workers with management tasks such as Meetings, Project Management, Timesheets. Remote Millennials will also wanted to feel included in as much of the business process as possible so multiple communication channels should be used e.g. Microsoft Teams for Group Talk and document collaboration, Yammer for Social updates and sharing and Skype for Business for conferences. With a shift in thinking and work culture, companies should have the technology around to be able to transfer knowledge between staff and document it for future training. According to a study only 22% of companies feel confident they are currently able to do this. It makes clear from the start of what is expected of them as a user of the system. This is your personal storage like a home drive, documents here are only viewed by you. You should put all your Documents and Desktops here to protect them from accidental deletion or corruption. This is a document storage for collaboration, e.g an Accounts Team would have a team site to work through 2018 Finances. People can upload their receipts to an accounting package or integrate into a personal one drive to a Teams folder. 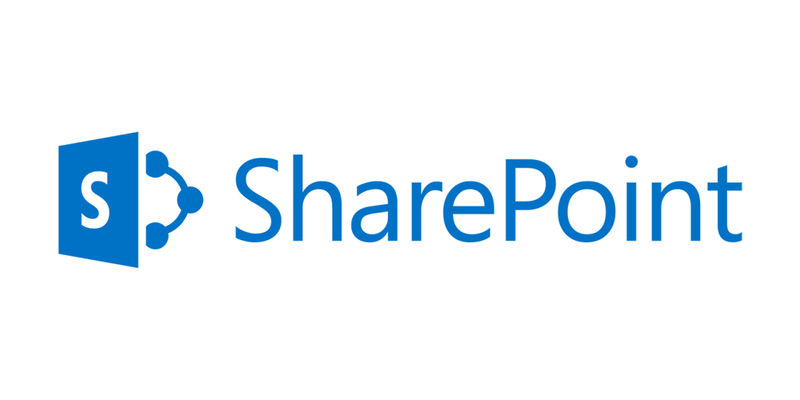 Once finished the accounts team would publish the accounts to Sharepoint for viewing by management. Companies should look at Data retention policies and have an information strategy to force documents to end up in Sharepoint rather than stay in personal One Drives and Team Sites. I'd also add that Mimecast's Technical support and help is much better than 365!